Check out this list of where to go to watch Christmas Shows, meet Santa, enjoy Christmas Carnivals and Christmas Markets or enjoy some hands-on festive workshops. Or check out this article on places to enjoy a festive meal. Get ready to celebrate Christmas with Poli, Helly, Amber & Roy from the popular South Korean cartoon series Robocar Poli at Marina Square! Sing-a-long to festive tunes with Robocar Poli and friends and the first 60 families in the queue at each session will also have the opportunity to meet and greet these lovable characters on stage. Meet & Greet passes will be distributed at the entrance 20 minutes prior to each session on a first-come-first-served basis. Join Elmo, Cookie Monster, Bert, Ernie and friends as they sing and dance along to Christmas hits with original choreography and spirited dance moves. Or how about join in the Marching Parade where you can march along with the Sesame Street friends? Exclusively for M Malls Members (membership is free). 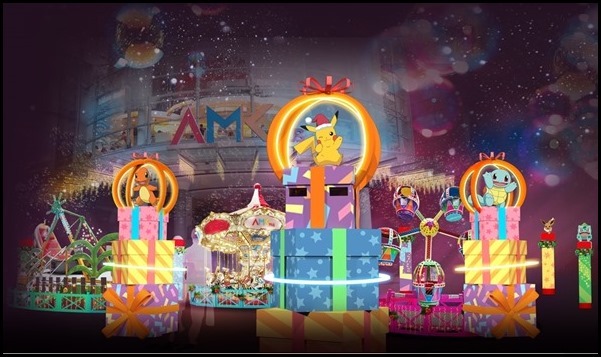 Join the crowd and dance along with Pikachu and Eevee. Spend $20* ($30* at FairPrice Xtra) in a single same-day receipt to redeem a photo pass to snap a shot with Pikachu and Eevee after the parade! Venetian performers come to Westgate with jesters, jugglers, stilt-walkers, face painters and more! Come catch them and enjoy their entertaining acts to give you a fresh new show every time! 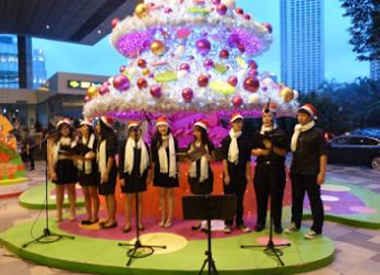 There’s also a live band to serenade you with festive tunes and top hits, every Thu & Fri, 7pm – 9:45pm. *Present a same-day min. $20 spending receipt to enjoy one free face painting session. Limited to first 120 redemptions at the Face Painting booth at L1. East Point Mall – Sunday Santa Surprise Visit! Catch Santa Claus for awesome photo opportunities at Eastpoint Mall every Sunday, and you could also bring home a Christmas gift from him! To qualify, spend a minimum of $80 in a maximum of 3 same-day, same-mall receipts. First 200 shoppers for the day get a candy cane treat. Imagine that, your very own candy cane from Santa. With a minimum spending of $30*, children and adults alike can make their very own Snow Globe from scratch. 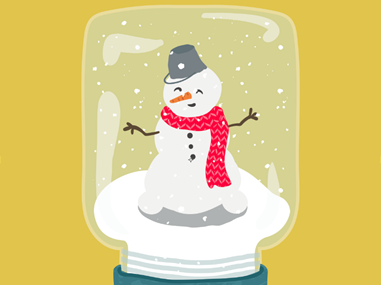 What’s more – you get to bring home your DIY Snow Globe at the end of this fun workshop! 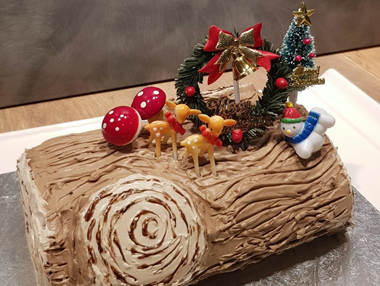 With a minimum spending of $100, children and adults alike get to decorate a log cake and bring it home for their own Christmas party! Get your little one into the festive mood with a fun holiday craft workshop this season! 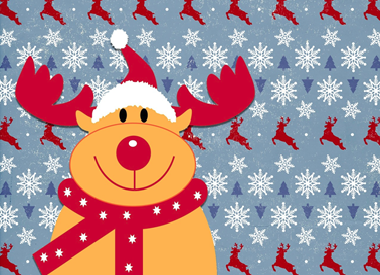 Simply spend $30* to participate in our My Rudolph Buddy Workshop. 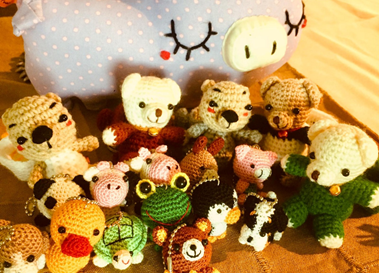 Simply spend $30 in a single transaction to participate in this fun workshop! Click here to pre-register. Probably the biggest Christmas carnival in Singapore, and if there’s only one that you visit, THIS IS IT. There’s a Luminarie Mirror Maze, Asia’s largest Santa’s grotto, a skating rink, carnival games and kiddy rides, festive market, carolling and FALLING SNOW. Watch this video on what to expect at Christmas Wonderland, it’ll definitely put you in a festive mood. General Admission : 4pm to 11pm Daily | Tickets : $4-$8 increases nearer to Christmas. Shop for good at a flea market organised by FairMarch, a new startup that encourages social enterprises to sell their products through a platform. It’s a great opportunity to pick up affordable Christmas gifts that embody the spirit of goodwill! The Christmas Market at Bugis Junction will be extended to Bugis Square (fountain area) this year. 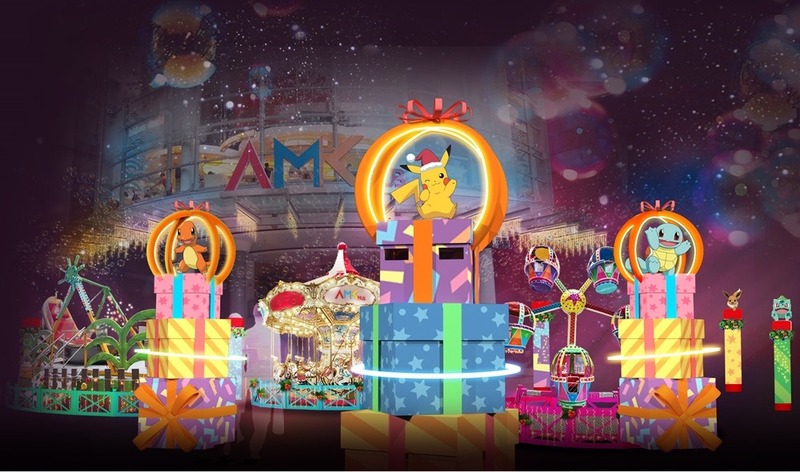 There will be 20 food and beverage, lifestyle, accessories, toys and collectibles booths by both Bugis Junction retailers and external retailers and several one-of-a-kind carnival game booths. Open daily from 12noon to 9pm, the Christmas Market runs from 26 November till 30 December 2018 at Bugis Junction Hylam Street Level 1 and Bugis Junction Bugis Square Level 1. This sweet-treats inspired carnival is filled with Insta-worthy themed rooms and fun game stations! Upload your pictures on Instagram and hashtag #LotOneChristmas to get your photos printed for free! Bring out the kid in you and showcase your hidden talents at the game stations such as Donut-hit, Lolli-hoops and more. That’s not all, you’ll also get to create your very own Christmas bauble and check out the range of Christmas gift items at the carnival too. Simply spend a min. of $30 between 10 Dec and 16 Dec to redeem a same-day entry pass to the event. Early Bird Special – From Monday to Friday, the first 30 shoppers per day with an entry pass to complete all the event activities will each receive 5,000 STAR$®. Christmas is in the air with the largest Cartier Ferries Wheel installation in Southeast Asia. Hop on and get your pictures taken in the carriage booth. Then, stroll through the park with an ice-cream to soak in the festive mood.